Where they were once used for utilitarian purposes, wrought iron gates add an historical element to an existing garden, residence or property in modern times. The gates are heavy, and the advent of cheaper -- and easier to use -- aluminum once made wrought iron gating a thing of the past. Nowadays, those looking to add a little bit of flair to their homes may choose to hang a wrought iron gate, the trouble being how to go about doing so. Hanging wrought iron gating adds a historical design element to many homes. 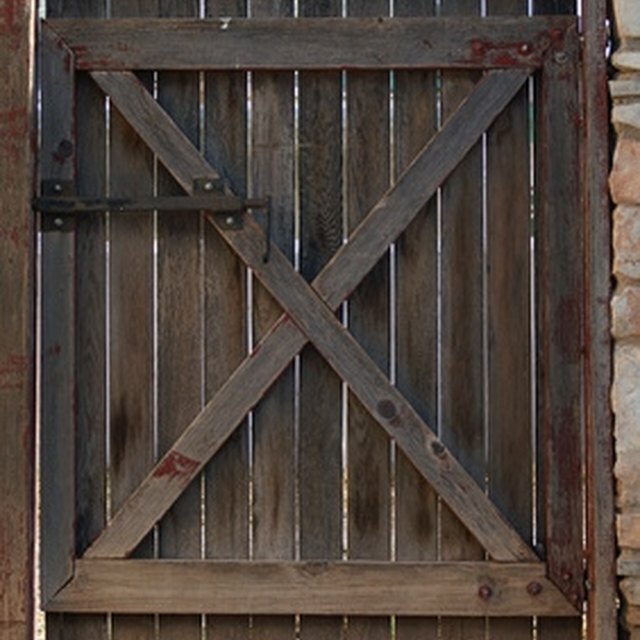 Choose the location of your gate; common sites are entryways onto properties or small passageways. Choose to place the gate between two masonry-based supports such as stone or brick, as the weight of the gate may not hang well on wooden supports. The gate must also be grounded into concrete or stone at ground level to prevent it from falling forward or backward. Check local building code laws prior to beginning work. Although hanging a gate may seem to be fairly simple, some zones require any home additions have a valid, posted building permit. If you need one, purchase or apply for one. Drill the ground placement post for the gate (should your particular model require one) into the stone or masonry support on the ground. If none is present, dig a small footer with a hand trowel and mix some concrete to pour into the footer, following the directions on the concrete's packaging. Use the level to ensure your footer is level before pouring. Measure the correct placement of the gate-mounting hardware brackets. Drill the bolt holes well into the support, following the instructions included with mounting hardware/iron gating you purchased. Attach the bolts and hold the gate level with the mounting holes on the brackets. Secure the gate to the brackets.